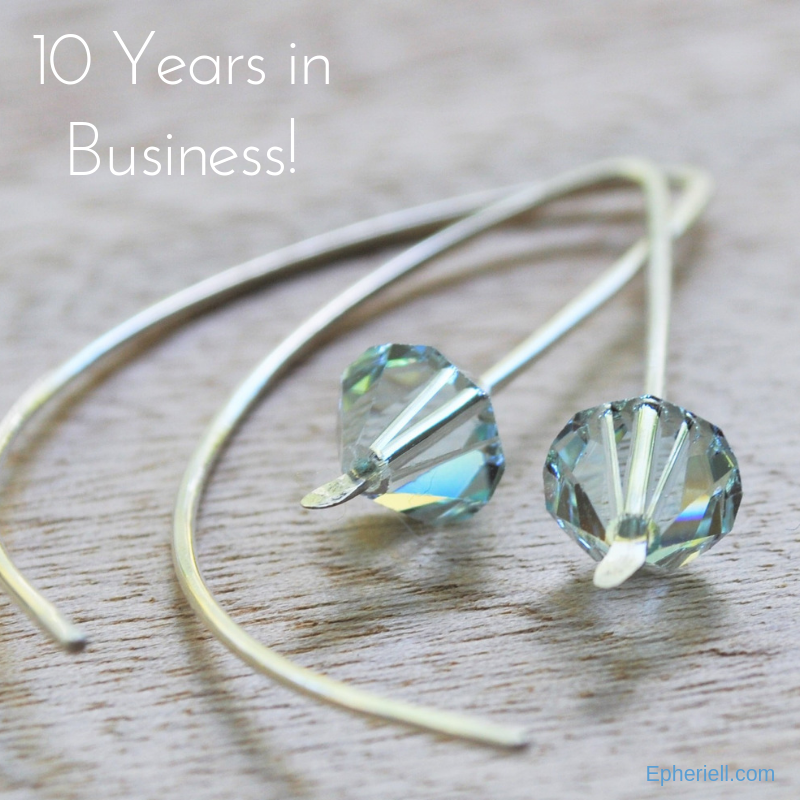 Today marks 10 years since I started Epheriell! On October 9th, 2008, I published the first item in my Etsy store, and started this journey… without any clue of where it would take me. Back then, it was just a whim – a hobby business that I started simply to try and make back a bit of the money I’d spent on tools and materials. I had yet to start working in silver. I had yet to take my silversmithing course. I had absolutely NO intention of making this my full-time career – I already had one I enjoyed! Sure… I’d always harboured a vague dream that I could one day ‘make a living from the internet’ and I’d tried a number of things over the years (working as an editor, selling designs on Cafe Press, a blog about living sustainably… all small projects that never made big bucks) but I hadn’t really planned on Epheriell ever being anything more than a hobby. Fast-forward a few years… and life happened. 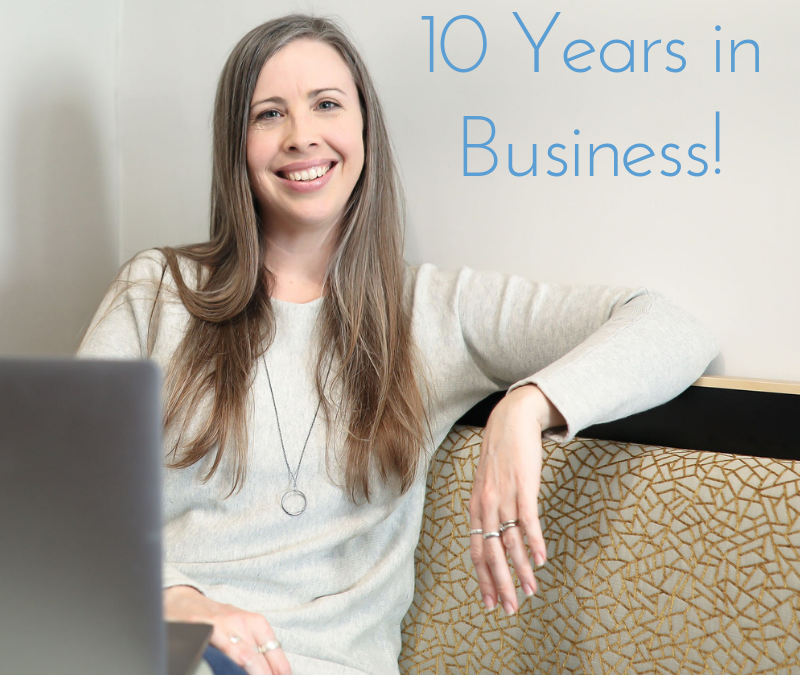 I went from having a comfortable full-time job to throwing myself into my business full-time… and it grew. Along the way, I started and sold a zine – *bespoke* – ran a Pozible campaign to launch a calendar, had a successful design blog, spoke at conferences, got the opportunity to travel for free, and, finally – started Create & Thrive in 2013. That was the third smartest biz move I made (after starting Epheriell – number 2 – and proposing to Nick – number 1 best decision ever!). If you’d like to hear more about my journey – the ‘before’ Epheriell, and more about my first few years in business, click here and you can listen to my podcast episode about it. Today, I want to take a moment to say THANK YOU. Thank you to Nick for being right by my side – for being my biggest support, cheerleader, and partner in life and business. Thank you to my parents for raising me to believe I could do anything I put my mind to. Thank you to my friends for supporting me. And finally, of course, thank you to YOU – my amazing customers and students. It has been an absolute honour and joy to serve you via Epheriell and Create & Thrive over the last 10 years, and I look forward to many, many more years of doing the same. P.S. To celebrate this milestone, I’ve created a limited edition design. I will only ever make 10 pairs of these earrings (9 for sale, because I’m keeping a pair for me! ), featuring a pair of ‘Epheriell blue’ Swarovski crystals. You can see them here.